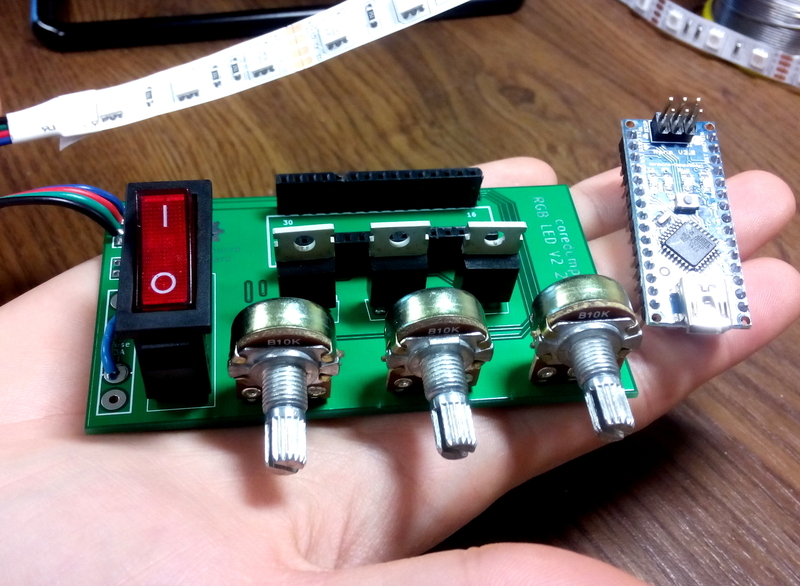 A PCB or kit for programming your own RGB LED Strips with an Arduino Nano v3. 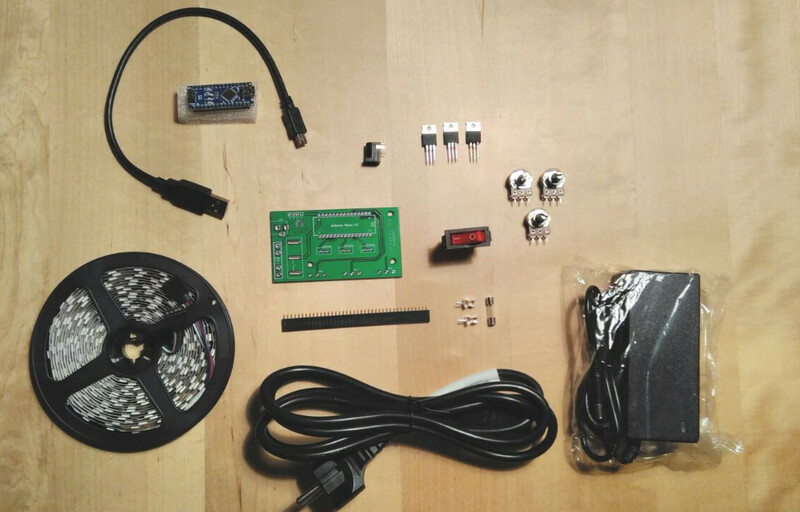 This kit contains everything to get started with programming your own RGB LED Strips. More details can be found here: https://www.hackster.io/2460/arduino-controlled-rgb-led-strip and here https://github.com/coredump-ch/rgb-led/wiki. 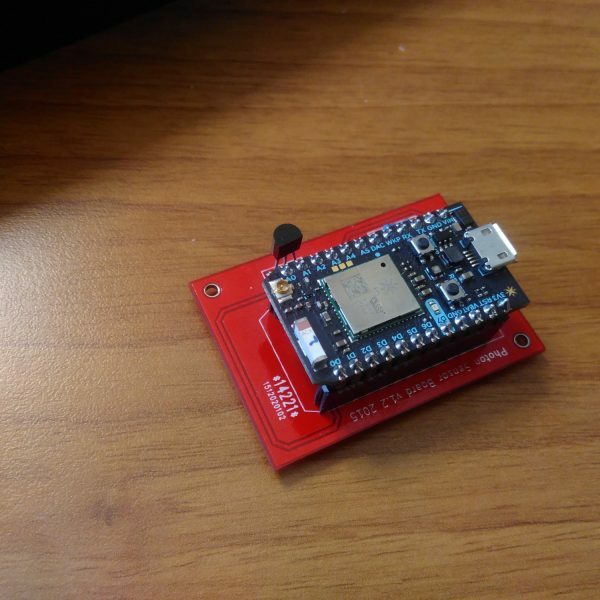 You need to be able to solder to put this kit together. 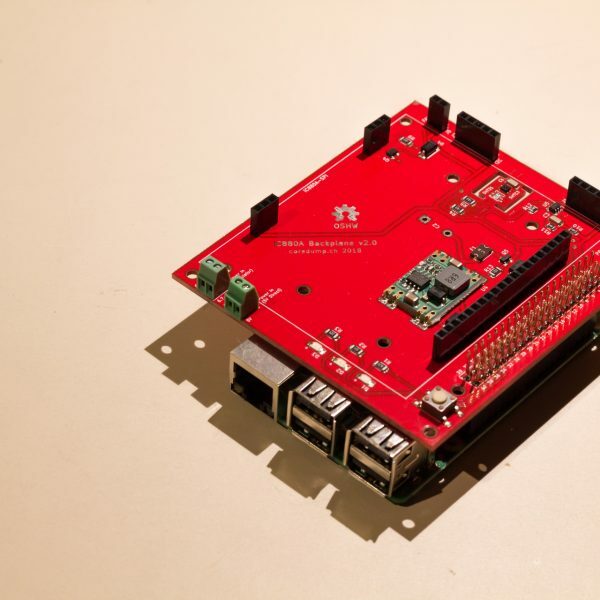 NOTE: If you choose the “PCB only” option, then the order will include *only* the PCB, without LEDs, the Arduino or other parts.